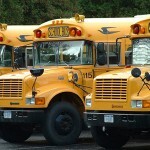 GPS fleet tracking systems were installed last year in 300 school buses in St. Paul, MN. At first, drivers were not overly enthusiastic about the installation of the GPS fleet tracking devices. Until the drivers realized just how useful they could be. Not only have the GPS tracking devices help resolve heated disputes between parents and drivers, but in some cases, the GPS tracking devices have saved bus drivers from losing their jobs. GPS systems were installed, it was the school bus driver’s word against the parent’s. That has all changed since the school district installed a GPS fleet tracking system in every one of the school district’s 300 buses. According to transportation coordinator Gary Cox, on a recent morning, he used the program to track a new bus driver who had gotten lost the day before. When that happens, supervisors are notified so they can get drivers back on track and avoid future problems. Until recently, they would have to dispatch a supervisor to a bus stop to make sure the bus was making its scheduled stops. That’s no longer necessary.